Chicago is a well known city in the US. It is a multicultural city. It is Illinois' largest city. Chicago is a hustling Great Lakes port that extends 26 miles along Lake Michigan's south-western shoreline. Chicago and Calumet rivers cut across the city. The city is known for its wide expanse of parkland which attract about 86 million people on yearly basis. The city parks cover about 3, 000 hectares of land. It has a total of 237 square miles of land. Chicago is a home to about 2, 695, 598 people. Given a number of historical sites and other places of interest in the Chicago city, a huge number of holidaymakers and tourists visit the city on yearly basis. The number of people that come to the city each year is estimated to be 40 million. Given the various aspects and features in the city, Chicago has been given several nick names which include the City of Big Shoulders, the Windy City, the City that Works and the Second City. It is a nice place to stay. There are various reasons why Britons choose Chicago as a place to relocate to. Here are some of the benefits why you should move from the UK to Chicago. And here you can read more about shipping to USA. Are you relocating in search of better employment opportunity? If the answer to this question is yes, then Chicago should be an option for you. As the third most populous city in the US, it has lots of industries and business offices both local and international providing employment to the residents of the city. There are eleven Fortune 500 companies in the city. More 21 Fortune 500 companies are located in the metropolitan area of Chicago. These companies provide employment opportunities to UK expats as well as the locals of Chicago. Find out the shipping rates to Chicago from UK. Chicago has lots of places of interest and attraction. The largest amount of exhibition space in the whole of the US and other North American countries is offered by the Chicago's premier convention centre, namely, the McCormick Place. It is 2.2 million square feet exhibition space. You will find one of the largest collections of impressionist as well as post impressionist paints across the globe in the Art Institute of Chicago. The first free municipal cultural centre in the country is the Chicago Cultural Centre. The city boasts of a lot of infrastructures and amenities which make living in Chicago interesting, easy and comfortable. It serves as the main transportation hub in the US. It is rated after Hong Kong and Singapore as the third largest inter-modal port worldwide. All the various types of transportation in the city. If you are moving to Chicago from UK you can send goods bye air freight or use a part load or full shipping container services. There are four auxiliary interstate highways and seven mainline that pass via Chicago and its suburbs. The transit system in the city is handled by three service boards which are coordinated by the Regional Transportation Authority. The railroad and passenger rail service industry is booming. In fact, the city is regarded as the country's largest railroad and passenger rail service. There are long distance removals services as well as commuter rail services. The world second busiest airport is the O'Hare International Airport, Chicago. Apart from this airport, there are airports that provide flight services to people flying in and out of the city. These airports include Chicago Rockford International Airport and Gary/Chicago International Airport. Though these airports are not located in Chicago city, they can be used as alternative airports to the city. However, the commercial flights available in these airports are not as many as the commercial flights available in the O'Hare International Airport. We can help you find cheap flights to Chicago from UK. Other amenities like electricity and water are made available to the residents of the city. The health care system of Chicago is quite superb. The Illinois Medical District is located in the city. Chicago is indeed one of the best cities to live in. In case you want to move to Chicago from the UK, you will require the services of moving companies. We are the right shipping firm to move your personal belongings and or arrange the shipping of furniture to the Chicago. 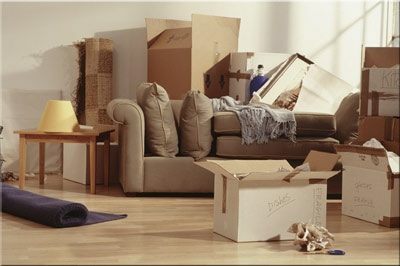 Whether you are moving your entire belongings, a couple of items or just a few items, we can do that for you. If you have few items to deliver to Chicago, our shared container service is the right option for you. But if your items are very large or can occupy an entire container, then you should hire our full container services. We can arrange shipping to Chicago from London, Bristol, Birmingham, Manchester, Liverpool, Sheffield or sending your furniture to Chicago from Leeds, Newcastle, Preston, Glasgow, Edinburgh or even from Aberdeen. You are supposed to pack your items in shipping boxes before they are loaded on the container for shipment. Use the right boxes and cartons to pack your items. 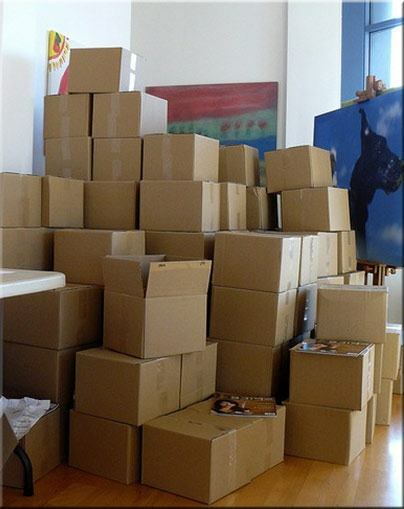 Heavy objects to be sent to Chicago like books are to be packed in small cartons. Use well padded cartons or boxes to pack breakable items. After putting each of the items in suitable cartons and boxes, label the boxes and cartons properly well. In case, you are not able to do the packing by yourself, you can hire our international packing services. We have excellent and well trained packers. We also provide storage in Chicago just in case you want a bit more time to find and buy or rent a house. We also offer unpacking and house cleaning services in Chicago.